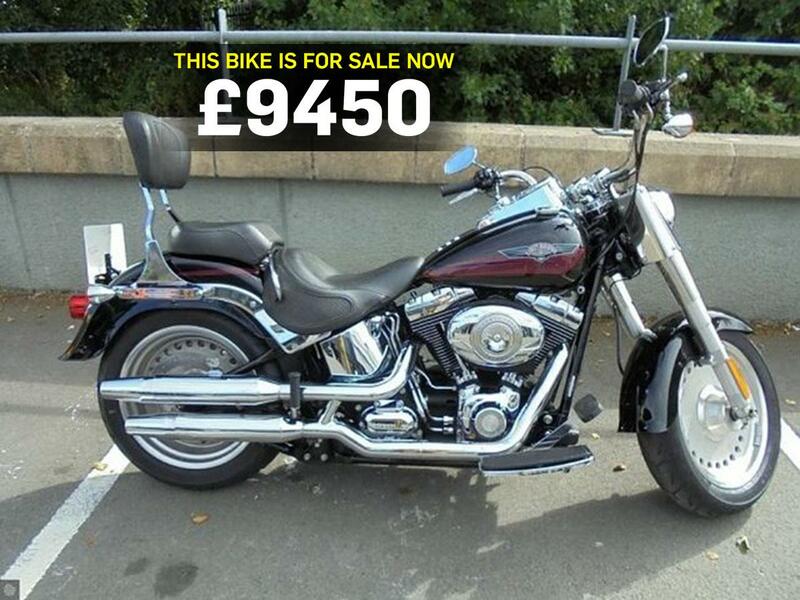 Today’s bike of the day is the Harley-Davidson Fat Boy. This is the perfect bike if retro-style cruising is your thing. It has all the right bits in all the right places, from the Milwaukee V-twin to characteristic disc wheels and even the badge on the tank. It’s not the most comfortable of hogs but is almost certainly the best looking. For most Fat Boy owners its surprisingly good. The rear suspension can give a slightly harsh ride but otherwise, it’s well balanced, predictable and easy to steer and manoeuvre. The engine was boosted again in 2006 from 1450cc to 1584cc – the original motorcycles were 1340cc. The 1584cc produces 65bhp and will reach a top speed of 110mph, it’s still a vibey dinosaur but that’s all part of the appeal. They are rather pricey for what they are, but as is the case with most Harleys, there’s no alternative. "For sale is this 1584cc Harley-Davidson Softail FLSTF Fat Boy. This is a 2006 model (56 plate) with only 5,960 miles on the clock. "It has a manual 5 speed gearbox, an alarm, an immobiliser. It also comes with full service history, a sissy bar, free 12 months Harley Davidson warranty and finance quotes are available on request. "What a real gem, a 2006 Fat-boy with under 6,000 miles from new. This bike has been well and truly treasured by the previous owner and remains fully stock with the exception being a sissy bar. "So, if you are looking for a bike with soul, that is barely broken in and is in its prime, then this is the one for you." Find this Harley-Davidson and other Fat Boy models at MCN Bikes for Sale.